Do you think insurance is something only homeowners need? As a renter, you may be liable for structural damage from fire or other accidents, and you are also responsible for your own property, and possibly your neighbor’s. Some people unfortunately discover the value of renter's insurance in hindsight. Here are some helpful guidelines for choosing and purchasing a policy for your apartment. Be sure to consult an insurance agent for answers to specific legal and financial questions. Use your cell phone to take pictures of your property, including serial numbers where applicable. Store your inventory and photos in a safe place offsite with a relative or in a safe deposit box. If you have cloud storage, the files can be kept there or you can simply email them to yourself. The first place to turn would be the company that holds your automobile policy. Many companies offer bundling discounts if you maintain two or more policies through them. Your Springs Apartments team can also provide the name of our preferred provider, who has the advantage of familiarity with our communities and resident needs. If you choose to shop for a provider, you can find ratings and other information from consumer research services such as J.D. Power. As you probably already know from experience with vehicles, insurance policies do not come in one-size-fits-all. Your chosen company will be able to adapt your policy to accommodate your individual needs. Here are some issues to keep in mind. How much deductible do you want? This depends on how much you can afford to pay out-of-pocket in the event of a loss. There is also an inverse relationship between deductible amounts and premium costs. You can always make adjustments down the road if you decide your current deductible is not satisfactory. Do you want replacement cost or actual cost? The latter is less expensive, but could prove to be more costly in the long run if you end up with $100 for a bed that costs $1,000 to replace. Do you have expensive items like jewelry, or do you want coverage to include the contents of your car? These addendums will add to your premium cost, but again, it's worth it. Be sure to inform your insurance company of any significant changes in your situation, such as major purchases. "Better safe than sorry" is a cliché because it's true. 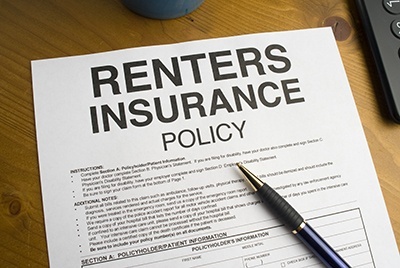 The relatively minor cost of a renter's insurance policy pales in comparison to the financial losses you could incur in an accident. Take steps to protect yourself today!